Each year in late September there is the regatta, “Les Voiles de St. Tropez” which showcases both modern and vintage racing yachts some of which date back to the 1890’s. Whether you are drawn to the lively towns like Cannes, Frejus and St Raphael or the quieter medieval villages such as Fayence, Tourrettes sur Loup, St Paul de Vence and Bagnols en Foret this region has something to suit everyone and is truly an exceptional place to live. It has an unsurpassed climate and often escapes the rain which can blanket the rest of Europe, giving blue skies for much of the year. I love the French way of life with its delicious food and of course wine, the long sunny days and swimming in the buoyant Mediterranean Sea. I am expanding my portfolio of property in the region and will hopefully have the right dream home for you whether it is a high end villa or something a bit more modest. I am looking forward to introducing you to this beautiful area and its exceptional properties and will do my best to find your dream house or apartment, and will look forward to celebrating the purchase when we have found your special property. My wife Veronica and I moved to France in 2008 and after living in a rented house for two years, we decided to take the plunge, got married in 2010 and bought our own house in the village of La Bouverie, Roquebrune sur Argens. We both love living in this beautiful area of France with its mountain gorges, unspoilt forests and sunny vineyards. Our house is nestled just under the impressive Gorge du Blavet which has exceptional views over towards the coast at Frejus and over to the Maures mountains towards the bay of St. Tropez with its legendary reputation as a place to go and soak up the glamour of the Cote d’Azur. Les Issambres-Superb villa with 14x6m pool and simply breathtaking views over the Med. This fabulous villa is just 300m from the mediterranean. Viewing highly recommended. Paradise . . .
Frejus-Fabulous luxury 5 bed villa with superb pool and sea views. Only 4 kms to the beaches and centre this luxury villa has the wow factor. Viewing is a must. Les Issambres-Fabulous luxury villa with sea views which take your breath away. 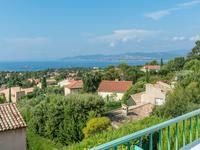 Panoramic sea views over the bay of St Tropez coupled with a very competitive price mean that . . .
Come and discover this beautiful property located in a quiet residential area, 300 metres . . .
Parc St Jean-Superb coastal 5 bed villa with pool and amazing views across to Mount Vinaigre. Only 10 minutes from Mandelieu in a secure park with superb views. Bay of Antheor-Renovation project perched on the rocks just above the Med with fab views out to sea. With its own steps down to the Med this this is a fantastic opportunity. Very rare to find . . .
Les Issambres-New build 4 bed villa with pool only 800m from the beaches. 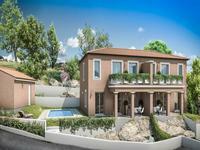 Fabulous opportunity to own a new build villa on the mediterranean coast. Designed and . . .
St Aygulf-Fantastic sea views from this fabulous 3 bed Villa with 5x10 pool. The sea views from this lovely villa are breathtaking. Viewing highly recommended. St Jean de l'Esterel-Fabulous 7 bed villa with fantastic views and large swimming pool. 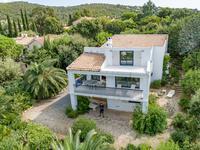 This beautiful villa of over 200m2 is set in an idyllic setting in the heart of the Esterel. 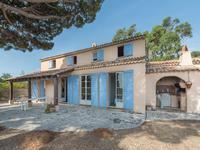 La Motte-fabulous views over the provençal vineyards from this lovely gite business. 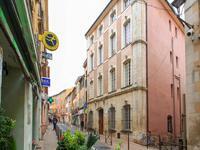 Independent villa with gites with the assurance of ongoing business for this main residence . . .
Agay-Lovely sea views from this beautiful 7 bed villa with pool and only 100m from the sea. Fully renovated to a high standard this lovely villa is a must see. Situated in this sought . . .
Les Issambres-sea views from this 4 bed villa with pool only 10 minutes walk to beaches. Come and discover this pretty 4 bed villa of 160m ² on a plot of 815 m ², in a calm area of . 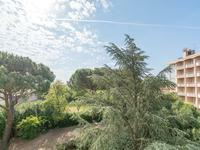 . .
St Raphael, Valescure; Superb Provençal villa just 2 minutes from the famous golf course. 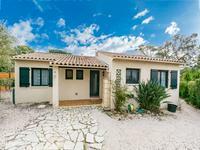 Charming single storey villa in sought after area of Golf Valescure. Viewing recommended. St Jean de l'Esterel-Fabulous 3 bed villa with superb views and a 13 x6 swimming pool. 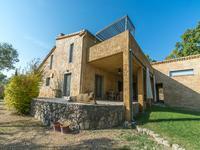 Villa 180 m2 located in lovely countryside, provençale villa with tower 180 m2 + 2000 m2 plot . . .
Les Issambres-Stunning 180 degree sea views from this 3 bed villa 5 mins from the beach. Rare opportunity for a full renovation project. Extension possible. A real chance to have . 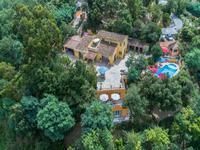 . .
Roquebrune sur Argens-Beautifully renovated villa with an exceptional interior and superb pool. Amazingly well maintained property situated in a sought after village which has all amenities. 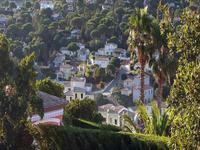 Quality residential environment and superb unobstructed view of the sea, the Lérins Islands . . .
Les Issambres-Lovely 6 bed villa with superb pool and views over the Mediterranean. Close to beaches. Just above Les Issambres with access to the beaches taking 5 mins this 6 bed villa has it . . .
Les Adrets de l'Esterel-Superb views over the bay of Cannes for this 4 bed Villa with pool. In an exceptionel natural park the views simply take your breath away. Les Adrets-Fantastic 3 bed villa with stunning views over the Bay of Cannes and infinity edge pool. Viewing recommended for this lovely villa which benefits from stunning sea and mountain views. 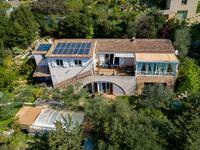 Roquebrune sur Argens-Superbly finished 4 bed villa with pool and high end fixtures and fittings. A must see Villa only 15 minutes from the beaches, in a quiet village with all amenities. A large, recently renovated property which was restored using organic materials. There are . 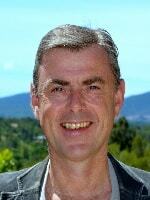 . .
Fabulous opportunity to run your own coastal bed and breakfast business in the Cote d'Azur. St Aygulf-Great value 4 bed villa only a short walk to beaches and center. Viewing highly recommended. If your requirements are to be within walking distance from . . .
St Raphael-Sea views and a rare retro 1960 high end interior in this 3 bed apartment with pool. 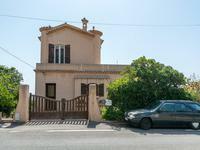 Walking distance to the centre of St Raphael and fantastic views. Le Muy-Historic mansion house built by Jean-Baptiste-Louis-Philippe de Felix in 1818. 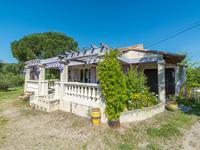 Historic home 20km from the gulf of saint-tropez. Postcode: 83490 Unique in this area a . . .
St Aygulf-Beautiful 4 bed villa with pool and sea views. Walking distance to beaches and centre. 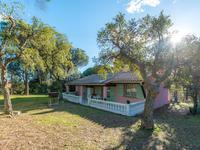 Lovely quiet location and within walking distance of restaurants and bars not to mention the . . . Le Muy-Fabulous 3 bed villa situated in a sought after location with superb 12x5 swimming pool. Spacious villa all on one level with covered pool and spar, close to shops and transport hubs . 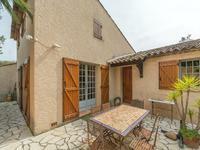 . .
Bagnols en Forêt-Fantastic 4 bed villa in this medieval village with lovely mosaic pool. Great value villa located in this sought after village which has all amenities and is only . . . 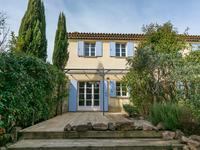 Le Muy-Fabulous renovated 4 bed bastide designed by Shirine Zirak with 12x6 pool. Authentic provencal Mas full of charme and constructed in natural stone. Viewing recommended! St Raphael-walking distance to the beaches and shops for this 4 bed villa. Rare find at a very good price. Viewing highly recommended. 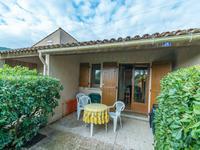 Tour de Mare Frejus-lovely 2 bed villa with lovely garden and independent studio. 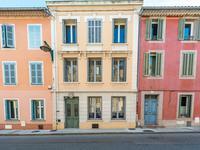 This is a charming property in a pretty residential area above Frejus. Beaches and commerces . 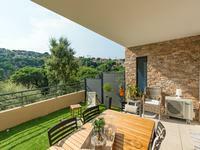 . .
St Raphael-magnificent 180 degree sea view from this modern 2 bed apartment. Recently renovated to a very high standard its the perfect lock up and leave or investment . . . This beautiful country villa is just a few minutes walk from the prestigious golf complex of . 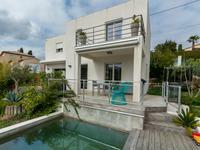 . .
Bagnols en Foret-fabulous views from this 3 bed villa with lovely pool. Very good price for this lovely house just a short walk from the village centre. 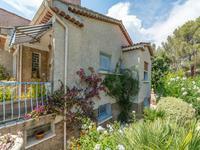 Roquebrune sur Argens-Great little 4 bed villa situated close to all amenities. Fantastic views. Delightful little property which is very affordable for its location. Situated close to the . . .
St Raphael-Fabulous 2 bed apartment situated in lovely quiet woodland near the famous Valescure golf course. Very well kept apartment just off the 12th green. Great investment property located in . 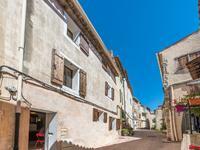 . .
Roquebrune sur Argens-Beautifully renovated village house with large outside terrasse. Great value village house completely renovated and more it comes with a rental income from . 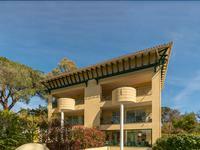 . .
Frejus-Beautiful 2 bed apartment close to the beaches and 'base nature' with pool. Apartmemt which is very luminous and close to the beaches with terrace. 5 minutes walk to the . 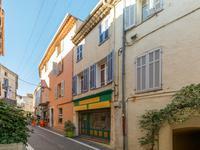 . .
Bagnols en Foret-Fully renovated 3 bed village house with high end fittings found in the beautiful medieval quarter. This beautiful village house has been completely renovated to a very high standard. There is . . .
Frejus. Spacious apartment in centre of old town with sea view. Frejus. Large 1 bedroom apartment of 72m² with sea view. Simple to create a second bedroom if . . .